The folks at Nite Ize know you're not a Boy Scout, and you're not a sailor. But sometimes you need to secure a rope to a fixed object, or a rope to another rope. Their elegant solution is the Figure 9. I'm not a salty sailor who's ridden the high seas for decades. I'm also not a Boy Scout with a sash full of knot tying merit badges. I'm just a guy who sometimes abandons my otherwise perfectly usable home for a day or three and sleeps outside in a hammock. I'm pretty sure I'm not the only person in this demographic. Because every campsite is different, there's no 'perfect' setup to how you string up your tarp, and hammock, and bug net, and gear pack, and anything else you brought with you for the trip. Versatility becomes paramount when it's getting on to dusk and you have to create your home for the next 12 hours. If the distance between your structures were always the same, and the diameter of the structures were always the same, and the proximity to anchors was always the same, and the height above the ground was always the same, and the amount of slope along the ground was always the same, then you wouldn't need versatility in your camping gear. You could bring the same suspension, and the same lines, and the same anchor hardware everywhere you went and be perfectly happy. Does that sound like your camping life? It's not mine, either. The one universal of hammock camping is the camping spot will always be different from the last one. Sometimes the trees are large, sometimes they're small. Sometimes they're far apart, and sometimes... there aren't any trees. This makes the adjustability of your ropes and lines, and the need to tie off- and tie onto- dissimilar objects pretty standard. Nite Ize acknowledges these challenges and provides to campers their Figure 9 system. "System" is a bit much of a description. The Figure 9 (whimsically titled from the shape of the item itself) is an aluminum fitting that cleverly connects ropes and lines without the need to make knots in the line. Knots, if you didn't know, greatly compromise the tensile strength of rope. 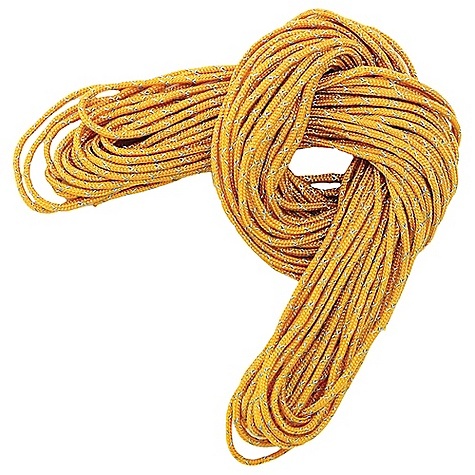 So, rather than remembering if you're supposed to use a bowline or a half hitch to keep your tarp from sagging onto you head overnight, you break out your Figure 9s to hold all your ropes and lines, no matter what the site calls for. Simply put, the rope is fastened at the loop end first. You can either use the end of a rope, or attach the Figure 9 in line on an existing run of rope already made fast to some nearby objects. The rope, as it passes through the loop end of the Figure 9 will hold itself, by direct pressure. 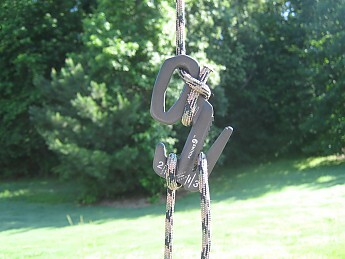 Or you can set it up so the loop stays put on a run of rope again, held in place by the tension placed on the rope. There's no downside to having too much line, and no need to cut your ropes to any specific length, as excess rope does not affect the performance of the fitting, it merely hangs from the fitting without tension. 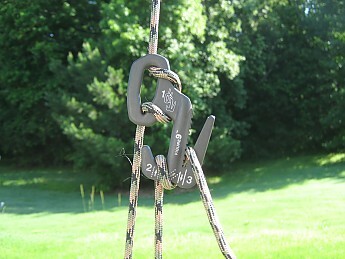 The tension on the line is then set by wrapping the other end of your rope around the "hooked" end of the fitting, and securing the rope in the fixed "jaws". 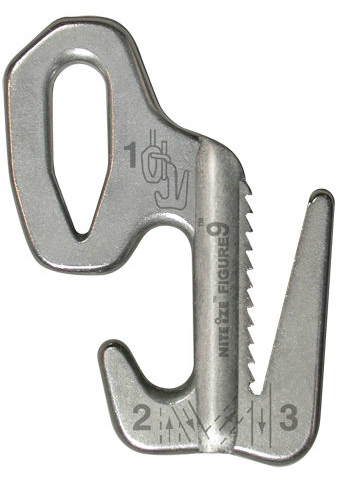 These so-called "jaws" are just a v-notched section of aluminum with serrated cuts along the sides which serve to bind the rope parallel to the direction of needed resistance. To remove the rope from the jaws, simply pull it sideways, perpendicular to the resistance, and the tension is released. These aluminum fittings are very strong for their size and weight. The Figure 9 pictured, the small size, weighs in at just 0.11 oz. and is rated to hold 150 lbs. They pack light because they're small. It'll accommodates rope diameters from 2mm - 5mm, but honestly it has held 3/8" (9mm) rope for me just fine. The serrated jaws will fray and ultimately destroy rope if you repeatedly bind and release the same section of rope over and over. If you find you are repeatedly using the same section of rope, you may want to devise a permanent solution to holding it, rather than using the Figure 9. These are best used for varying configurations, not a fixed, repeated use. 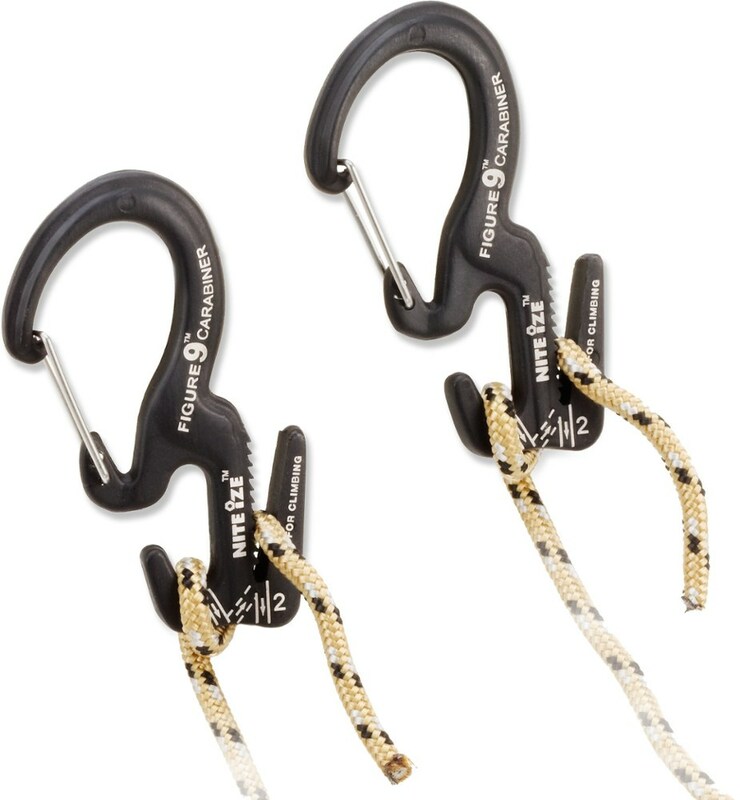 The fixed Figure 9s come in two sizes (that I'm aware, there may be more), the small (pictured) and a large size, and Figure 9s are also available as carabiners (settle down, they're not rated for climbing). The carabiners offer the added versatility of clip-on/clip off attachment, but they are not rated as high for tensile strength as their solid construction counterparts. The smallest of the carabiner versions does, however, make a great keychain. Just sayin'. So on your next camping trip, take plenty of rope line and a handful of Figure 9s in various sizes and configurations and conquer any logistic challenge. Nice review, Howard. As a hammock hanger, you should check out Dutch's Stingerz: https://www.trailspace.com/gear/dutchware/stingerz/#review30061 That will negate the rope damage you mentioned. Thanks for sharing another helpful review, Howard. Price Paid: Don't recall, not much. 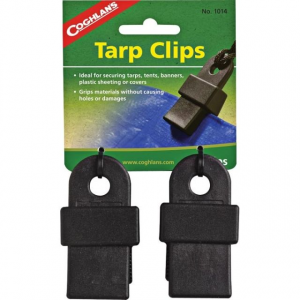 These work great for quick tarp setups. 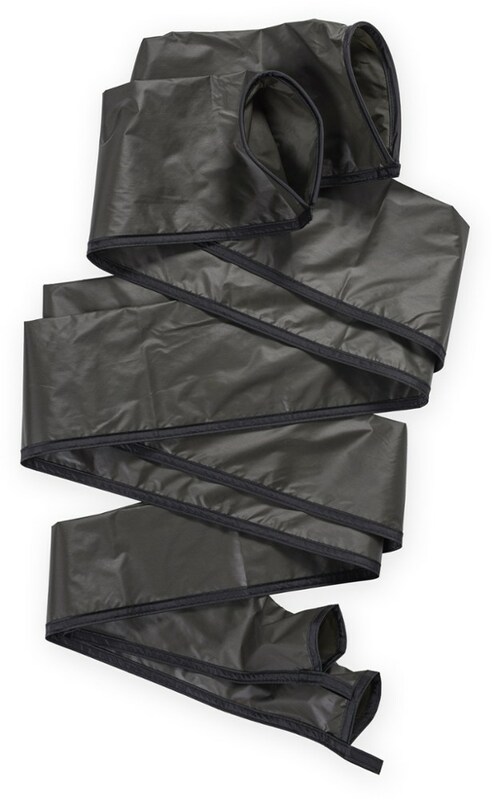 Lunch breaks in the rain, late evening campsites, you need a tarp up quick, use these. On a cold, after sundown camp setup my fingers having been in the rain all day would not have been capable of tying good knots in the dark. These little babies allowed my tired self the quick setup that I so wanted. 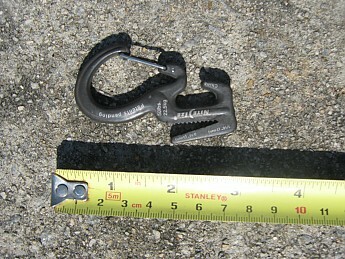 Purists may scoff, but I have an older friend, a WW2 vet, who scoffs at modern climbing hardware. He tells tales of major climbs using ropes and skills, none of the gadgets that are used now. So if climbers use their gear I'll use mine. Bought mine at the local Ace Hardware. Buy local. It's worth it. Here's a picture of a lunch break with hot tea in the rain on a training day hike on the North Branch of the Chicago River at the confluence of the East Fork and Middle Fork. The air temperature was just above freezing. 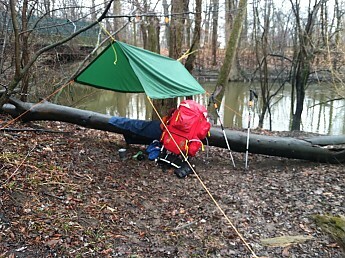 It took less than five minutes to string the tarp with cold wet fingers. I use the carabiner style for the ridge-line and the Figure-9 for the guy lines. Thanks for the review, Curtis. Nite Ize makes quite a few handy pieces of gear. Do you have any pictures of your Figure 9s you could show us in your review? Glad you posted this. While I've seen these before, I had forgotten about them, and I didn't want to spend too much money on something like this. Thanks for the setup picture, Curtis! Just ordered a pair thanks to your review! Nite Ize makes several versions of this device. This review is for the "small" which appears to be stamped out of 1/8" aluminum sheet metal, then machined a bit more before being sanded and laser etched. The small Figure 9 is a tremendously useful little addition to my backpack. I usually carry at least two with me, since they weigh less than 0.2 ounces each and have so many applications. 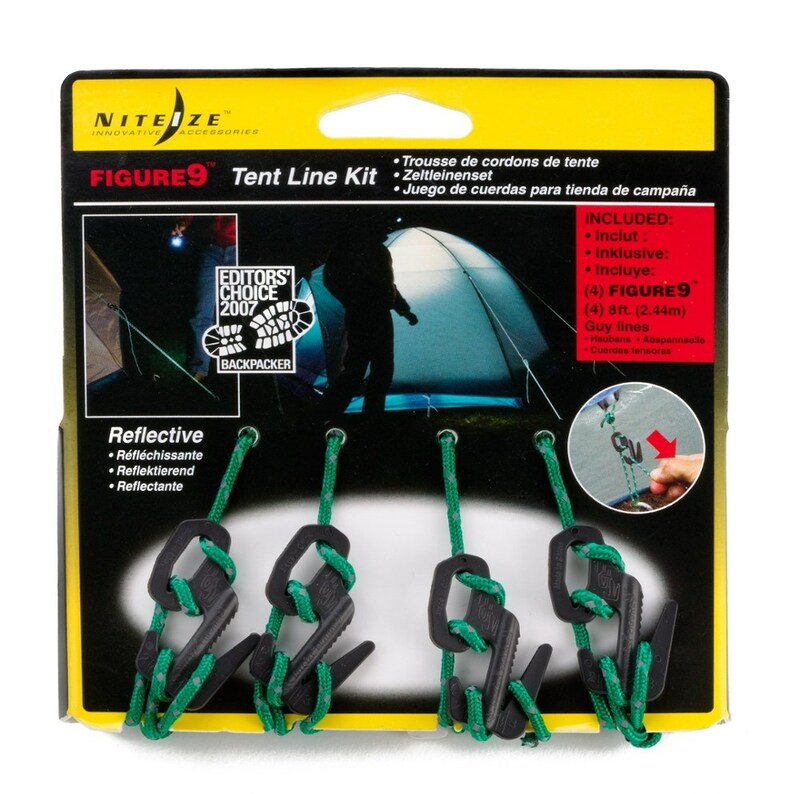 The basic purpose of the Figure 9 is for use a line tightener on anything from tent guy lines and camp clothes lines to tarp tie downs and whatever else you might need to quickly cinch down around the house. So many different ways to attach the Figure 9 to a rope...I played with them for hours coming up with different ways to deal with one or more loose rope ends. Strong and super lightweight! 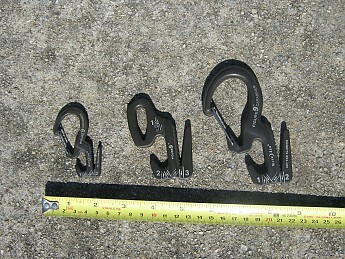 The smalls are actually tested for up to 50 lbs tension, but only weigh around 0.2 ounces each. Instructions are laser etched into the part just in case you forget how to do a basic set up. No more stuck knots, just wrap the loose end as shown and it holds without having to actually tie any knots. The price doesn't break my wallet. 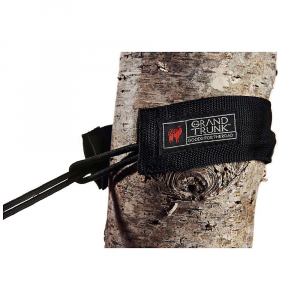 I recommend the Figure 9 to anyone who uses rope around the camp for tent or hammock guy lines, bear bag tie-ups, tarp cooking shelter lines, etc.